When it comes to running a club, finding a niche is one of the most important things you can do. Proof of that comes in every city across the country, where both illicit and intimate gatherings in dirty hovels can co-exist with shiny and parochial puke-dens where Danny Dyer is the low-light of any month. 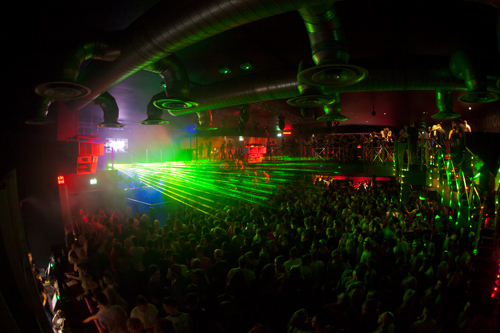 When it comes to Leeds’ clubbing landscape, though, had you have asked but three months ago what the city was missing, the answer from this correspondent would have been: nothing. In light of that, late summer news of a brand spanking new superclub (and it is, from whatever angle you approach it, a super club, whatever anyone tries to tell you about its 3000 capacity) was astounding and intriguing in equal measure for those on the ground. That it was to come from the same proven team that runs The Warehouse (aka owner Jim Albentosa and promotions and bookings manger Stu Darwin) added yet more layers to the puzzle, because until now that club has always ably taken care of the larger and occasionally more commercial end of the electronic spectrum. But alas, on a mild October Friday night DJ Mag found itself rolling into a retail park just outside the centre of town to check out the promised riches of this brave new club called Control. Right from the off, it’s clearly not your average place: the vast entrance is more like the foyer of a cinema, with pleasant staff guiding you past the ticket booth and into another foyer, this time lined with notably plush carpet. At this point you have a choice, take a right into the much-hyped GeoDome, or swing a left into the main club. We go left, through a ‘sensory depriving’ (aka blacked out) tunnel the vast main room opens out in front of us. Already we have a wry smile at the smart punning action around the club’s name: toilets are marked 'Men/Women in Control', the exit is marked 'Out of Control', and above the balcony is a sign that reads 'You Are In Control'. Like the whole club, it’s well laid out, so people can get to bars, toilets, balconies, large covered smoking area and exits without snaking across the dancefloor. 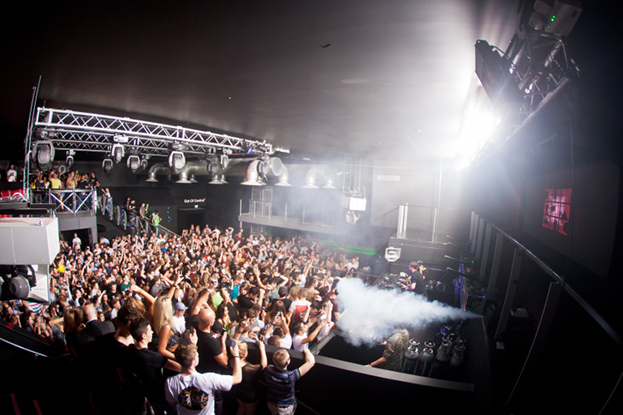 All round one side is a mezzanine balcony with deep red pleather booths, and a VIP Sky Lounge is behind bars at one end overlooking the raised DJ booth. There are poles and platforms for official dancers, but tonight they remain empty, unlike the club itself, which seems to have the perfect number of people in both rooms. Those people are ostensibly students; early twenty somethings dressed in the usual array of outfits you’d expect of such a clan. Some try very hard to look like they haven’t tried hard, others are unashamedly dressed right up. Importantly though, they aren’t afraid to dance, whether it’s pushed up to the booth, by the efficiently serviced bar or up on the mezzanine. Uniting them all is a couple of industrial strength lasers that shoot out green sheets of light all night long. Given the scale of the place and the height of the roof, the soundsytem does well to fill it with both beefy bass and distortion free melodies. At this stage it’s one of the core Diynamic trio, Stimming, who is doing a live show. Recreating plenty of his own jams, it’s an accessible soundtrack of rubbery tech, catchy vocals and elongated breakdowns. Following on from him are the other two parts of the Dynamic puzzle, namely H.O.S.H. 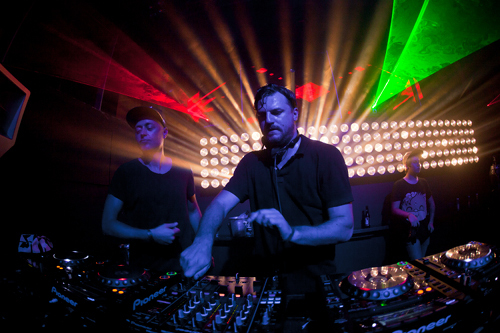 and now, in light of his season in Ibiza, the crowd-pulling boss, Solomun. In truth, their set is watery tech house that seems to undulate little. They play B2B for four hours and get a little more eclectic later on, but the crowd don’t really seem to care, especially when cannons blast out not only huge smoke clouds but also gigantic CO2 powered party poppers. The GeoDome aka room two offered the local house and tech offerings of the Love Not Money label and its associated artists. In here, you are trapped below a large dome of hexagonal shapes that change colour and speed with the music. It’s an impressive talking point and visual distraction — especially as you grow ever hazier throughout the night — but is just one of the many things that makes Control so perfect for those who like their clubbing experiences in full 1080p HD: That’s the club’s niche and, frankly, they nailed it.